Qarshi Industries (Pvt.) 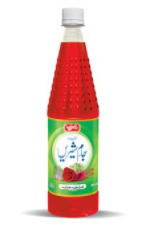 Ltd. is one of the largest natural products manufacturers in Pakistan. It is a modern and progressive facility that manufactures and markets leading brands which have become household names. Qarshi is engaged in promoting healthy living since seven decades. It has been offering blend of age-old Oriental and Greek herbal preparations with the latest advancements in science and technology to provide safe and effective products to its consumers.